Taking the stage at the company's newly-created Steve Jobs Theater, Apple CEO Tim Cook excitedly revealed the future of the iPhone brand: the iPhone X. The X, or "Ten" to hear it spoken aloud, represents a considerable foward stride for the company, with subtle-yet-substantial design changes like the complete lack of a Home button and an edge-to-edge screen design that places the iPhone X among the most beautifully-sculpted and streamlined smartphones ever created. From what can be seen, the iPhone X runs on mostly the same internal hardware as Apple's previously-revealed iPhone 8 and iPhone 8 Plus models, namely with regard to the device's A11 "Bionic" processor and the availability of wireless charging. 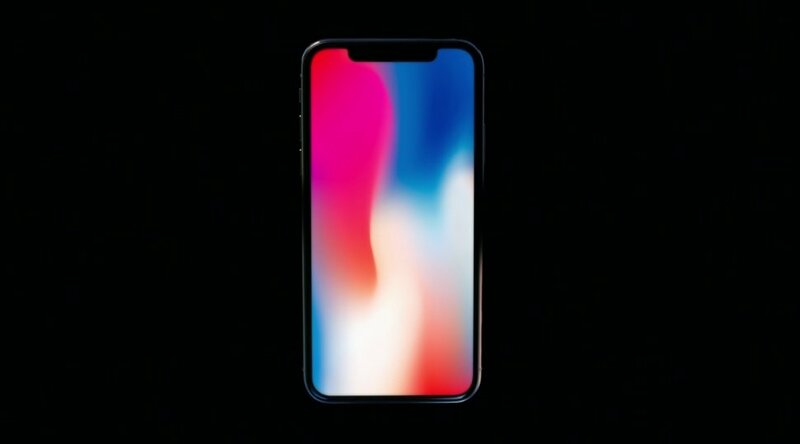 The screen is different, of course -- it's a 5.8" 2436x1125 OLED display with an industry-leading pixel density of 458ppi, and Apple has stated that it was specially-designed to overcome traditional OLED problems like image retention and brightness. Naturally, the lack of a Home button means users will need to rely on gestures to provide the sort of functionality they've come to expect from previous iPhone models. Luckily, what we've seen looks simple and intuitive: users can swipe up from any app to "throw" the app away, like much minimizing a window on a PC, and navigate back to the home screen. Pausing while swiping up will place the app window in a task manager-type view, where users can open or close any other currently-running apps. Likewise, pulling down from the top right of the screen opens up iOS 11's Control Center, and Siri functions have been moved to the iPhone X's side button. The device also features a revolutionary sensor bar that ties into Apple's new Face ID system. Using a barrage of sensors and infrared dots, the array is able to track a user's face in 3D, and those functions will tie into new features like Animoji as well as Apple's new Face ID security feature, which allows users to unlock their device simply by looking at the screen, even in the dark. Fortunately for Apple fans, the release of the iPhone X isn't too far away, as the company will be opening up pre-orders on October 27, with the devices expected to ship a week later on November 3. The cost, at least for the basic iPhone X model, will start at $999.